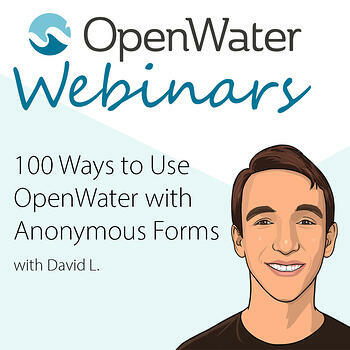 Have you ever been frustrated that your users need to create an account in order to complete an OpenWater form? We now support the use of anonymous forms. With this feature, users will be able to go to a webpage, fill out a form, submit, and walk away. No log in required! In this webinar, we will walk through using anonymous forms and how it can make it even easier to gather information from your users.